The number of homes sold in Britain for a million pounds or more has reached a record high after increasing by 5% in 2017 compared to the previous year, and up 73% in the last decade, according to new research. 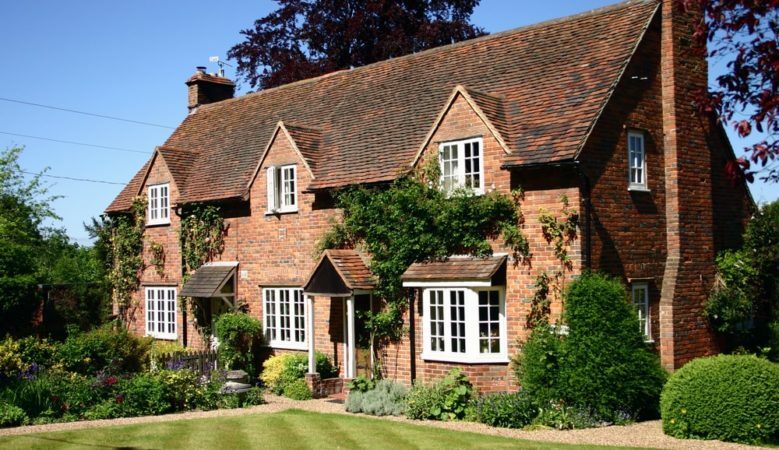 The annual growth has been led by Yorkshire and the Humber with a 60% rise in sales in this price bracket, followed by the North West with a rise of 46% and the West Midlands up 28%, the house price data from Lloyds Bank Private Banking reveals. While the first half of 2017 saw a 1% drop in million pound house sales, a strong performance in the last six months of the year meant that sales increased by 5% overall and in total 14,474 homes worth more than a million pounds were sold, up from 13,748 in 2016. The data also shows that over the past 10 years the number of million pound house sales across Britain has increased dramatically, up by 73% since 2007. But this hasn’t been steady as 2012 saw a particularly poor year for sales, with only 7,862 transactions. In 2017 more than half, 57%, of all million pound property sales took place in London but the number of transactions in this sector in the capital only increased by 1% year on year. The only area in where million pound home sales fell last year was the East Midlands with a drop of 23%. This continues a longer term trend as in 2007 there were 81 sold, whereas last year there were only 72 transactions recorded, a fall of 11%. ‘The million pound property market got off to a poor start last year, but made a good recovery in the second half. Overall, 2017 was slow for the UK economy, with high inflation and low wage growth. But high end home owners and investors in many parts of Britain are starting to regain their confidence in the market, with exceptional growth seen in Yorkshire and the Humber and the North West of England,’ said Louise Santaana, head of UK wealth lending at Lloyds Banking Group. ‘As always, the highest number of transactions took place in the capital last year, however growth in London has started to slow for million pound properties. Overseas investors represent a good share of this end of the London market and some may be holding off buying, pending further clarity over Brexit,’ she pointed out. Looking ahead, she believes that 2018 will be an interesting year for the million pound property market. ‘With the Government consulting on ways to improve the house buying process, we should see high end home owners more empowered to engage in property transactions. However, the high cost of stamp duty may be an ongoing deterrent in the top end of the market, particularly for those who are looking to invest in property in order to make money, as opposed to buying a home,’ she explained. ‘The market isn’t only made up of buyers, however. There are thousands of home owners occupying million pound properties across the country, many of whom may be considering downsizing, relocating or extending their existing homes,’ she added.